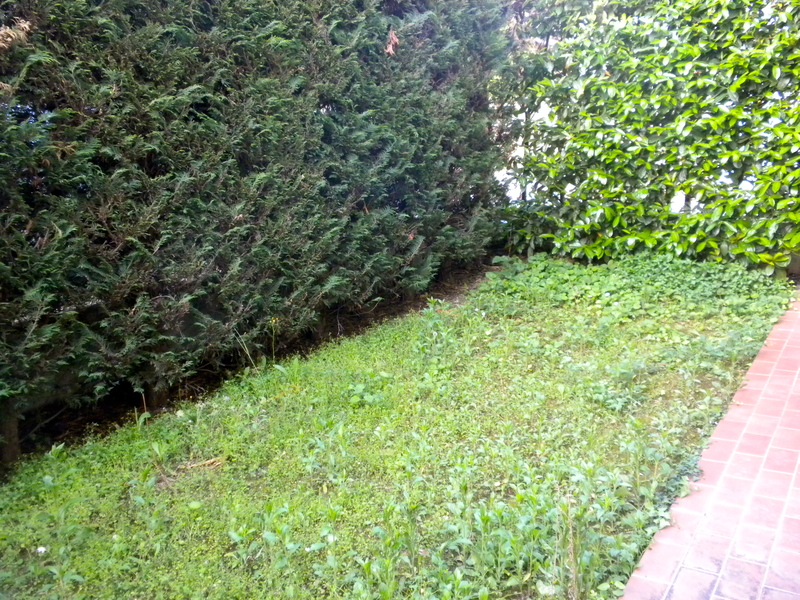 I have the world’s smallest backyard, and for the most part I ignore it. Now that I am semi-obsessed with starting a garden my backyard is going to get a lot of attention. 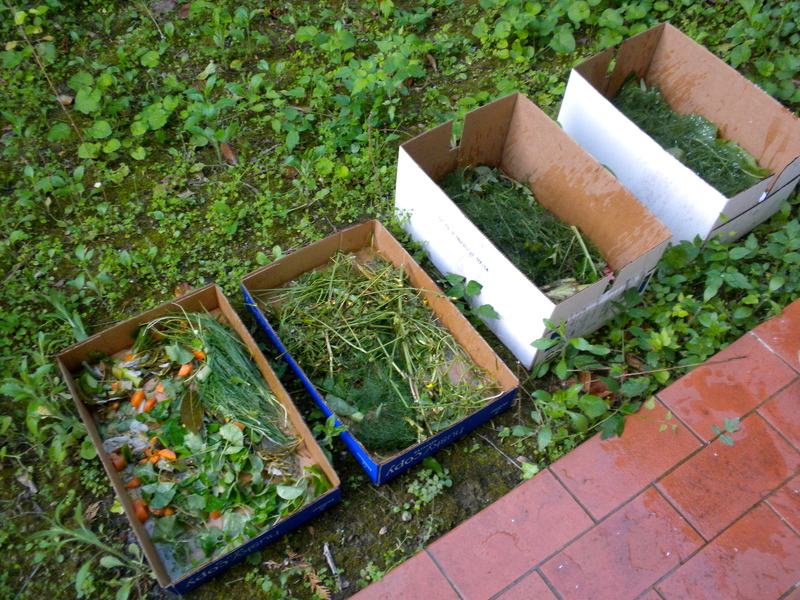 Before I really commit to my lasagna garden, I want to test the process on a smaller scale. I figure a couple of cardboard boxes and their lids will do the trick. 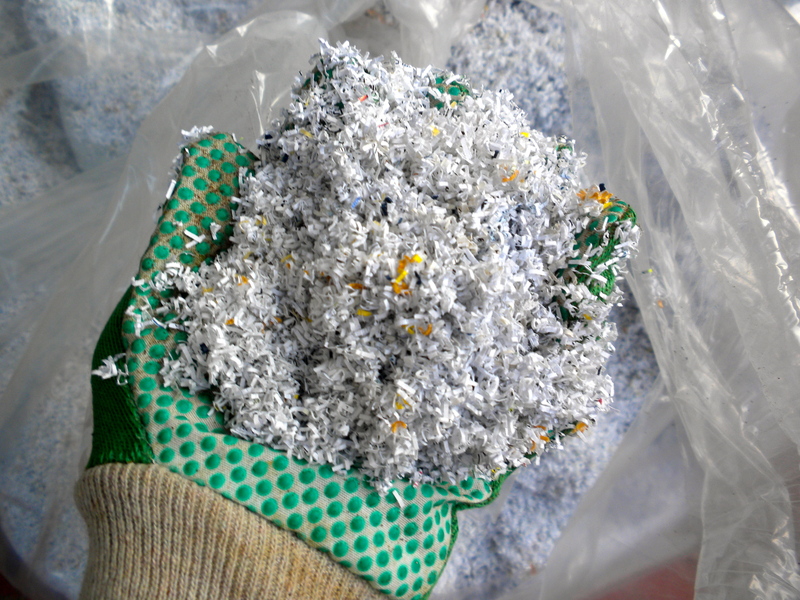 I snagged a bag of shred from work for my “brown material” and grass clippings from my front yard to use for my “green material”. 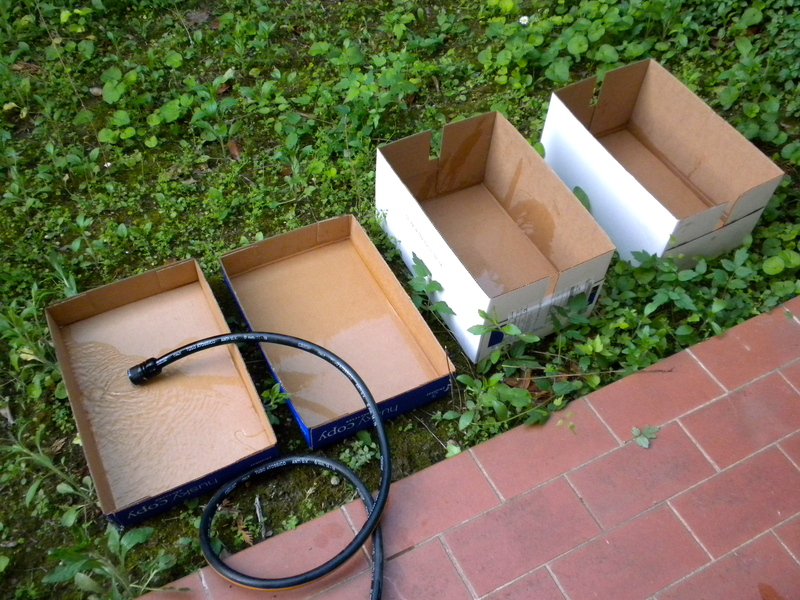 First I got the boxes soaking wet. 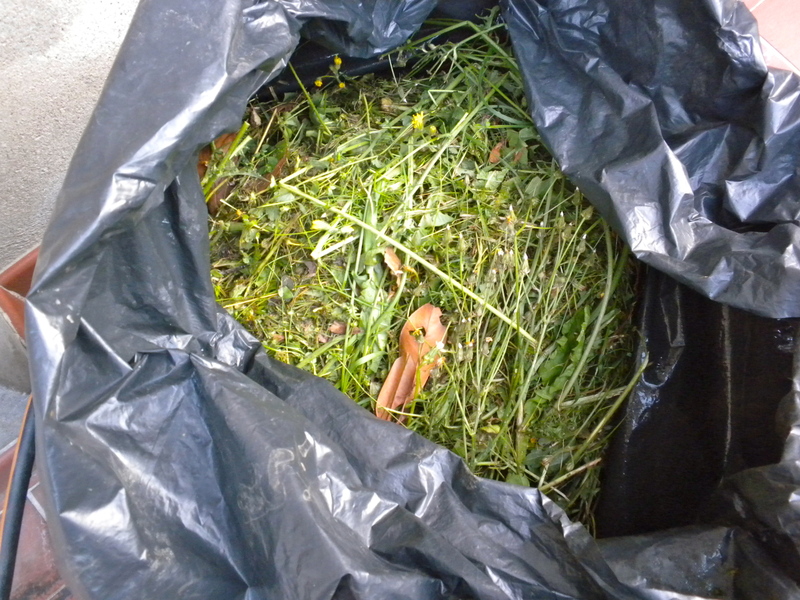 Eventually I want them to decompose with the rest of the pile so I was very generous with the water. Then I made the “lasagna” by layering the green and brown material (soaking each layer) and topping it off with some topsoil. 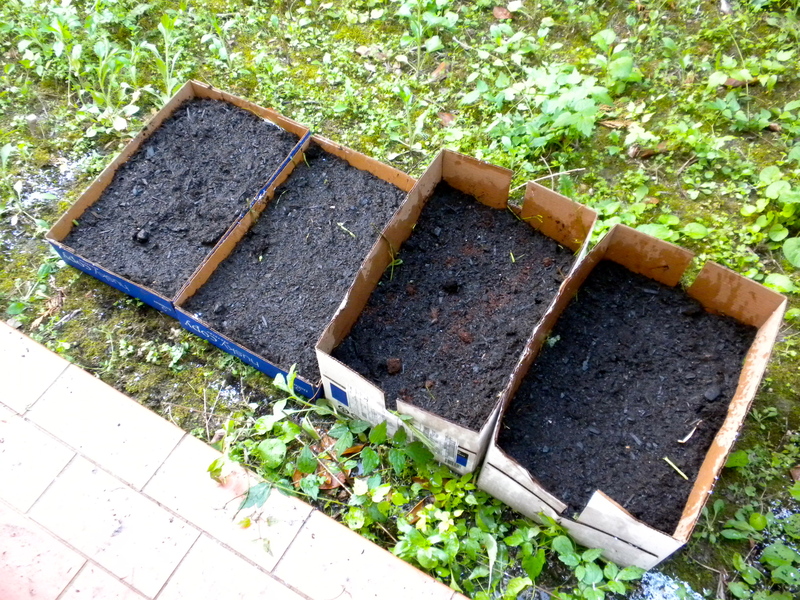 I left room at the top of the boxes to add more soil in a couple of days. I figure after a week of letting my boxes sit they will be ready for planting. I know my strawberry plants are going to in one container but I am still deciding what the other containers will hold. I still have plenty of green and brown material so if these cardboard boxes work out my next step is making large garden beds. would love to hear how this turns out. Thank you! I will update with pics as soon as I plant my seeds! Sounds like an interesting project – please keep us all updated! Thanks Andrew! I will keep you posted! Ya know what, I don’t see any reason why this will not work. Will be looking for pics. I am so excited to eat my first veggie grown in my own yard! I love this! I hope it works!! Thank you Deborah! 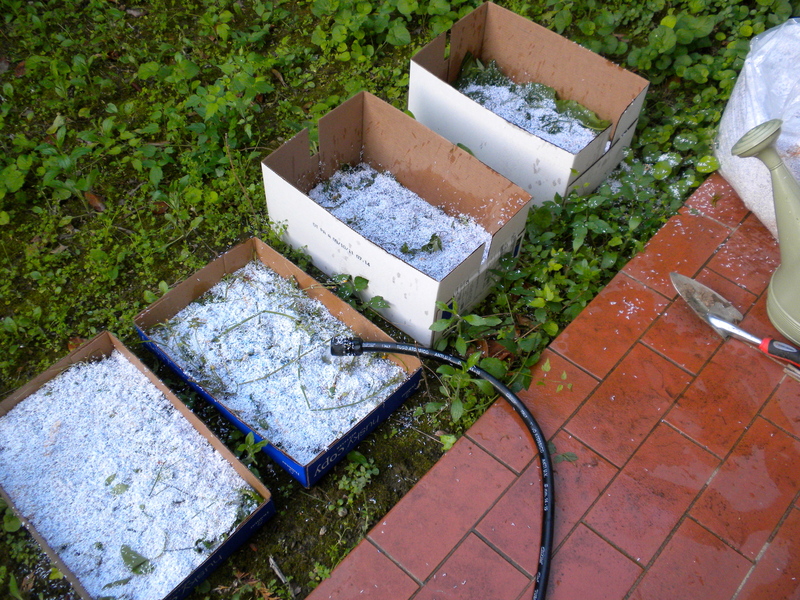 We got lots of rain this weekend so my boxes should be ready to plant soon! Erica, you are starting to sound like Daphne! I mean, her 4 yr old named the roaster “Broccoli”, how many 4 yr olds even know what broccoli is! Keep blogging!